Franny Choi is a poet, teaching artist, and author of Floating, Brilliant, Gone (Write Bloody Publishing, 2014). Her poems and stories have appeared in Poetry, PANK, Folio, Solstice, Fringe, Apogee, and others. A Pushcart Prize nominee, she has been a finalist at the three largest adult poetry slams in the country. She is a VONA Fellow and a member of the Dark Noise Collective. Through Project V.O.I.C.E. and the Providence Poetry Slam, Franny teaches creative writing in her local community and in classrooms across the country. Sahra Vang Nguyen is a multidisciplinary artist currently based in Brooklyn, New York. She has served as the Director of the Writing Success Program at the University of California, Los Angeles where she helped undergraduate students develop their critical thinking, self-confidence and agency through the writing process. Her writing primarily explores themes of identity, race in America, the Vietnamese American experience and the power of human potential. Sahra has self-published an e-book titled, "One Ounce Gold," and she has been published in the print anthology, "Pho For Life." She has toured Universities across the country speaking, performing poetry and facilitating workshops aimed to empower and inspire audiences. In Fall 2013, Sahra was invited to perform at the Kennedy Center in Washington DC in a celebration of Asian American artists. More recently, Sahra created a web series about NYC entrepreneurs called, "Maker's Lane," which is co-presented by the Smithsonian Asian Pacific American Center. Chris Tran is an emerging Vietnamese American writer, photographer & media maker from Oklahoma City, OK. He's performed with Sarah Kaye & Hieu Minh Nguyen and was a semifinalist at the 2014 College Unions Poetry Slam Invitational (CUPSI). His work interrogates new constructions of race, sexuality & nostalgia. A sophomore at Brown University, Chris constantly yearns for southern fried cooking. Paul Tran is an Asian American activist, historian & spoken word poet from Providence, RI. He's won "Best Poet" and "Pushing the Art Forward" at the national college poetry slam and fellowships from Kundiman, Coca Cola, the VONA/Voices Writing Workshop, and the Andrew W. Mellon Foundation. His work combines oral history and performance to reimagine the violences inherited from the Vietnam War. Paul is also the cofounder of Gravediggers, a workshop for emerging writers of color, and coaches the 2014 Providence youth slam team heading to Brave New Voices. The Vietnam War continues to inform public discourse, scholarship, and national policies on race, empire, and the struggle for human rights. This layered roundtable and reading will excavate voices from the diaspora’s exiled. Three Vietnamese American poets will share their work and lead a discussion on the Vietnam War and its legacies in new Vietnamese poetry, exploring death, ghosts, belonging, displacement, memory, debt, intergenerational trauma, and sexual assault. It will examine how poetry and spoken word recover the history of marginalized peoples and the war’s connection to US colonialism throughout the world. Sponsored by Kundiman, an organization dedicated to the creation and cultivation of Asian American poetry. 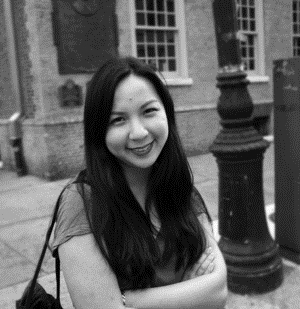 Cathy Linh Che is the author of Split (Alice James, 2014), winner of the 2012 Kundiman Poetry Prize. A Vietnamese American poet from Los Angeles and Long Beach, CA, she received her BA from Reed College and her MFA from New York University. She has been awarded fellowships and residencies from Poets & Writers, The Fine Arts Work Center at Provincetown, Kundiman, Hedgebrook, Poets House, The Asian American Literary Review, The Center for Book Arts, and The Lower Manhattan Cultural Council’s Workspace Residency. A founding editor of the online journal Paperbag, she is currently Program Associate for Readings & Workshops (East) at Poets & Writers and Manager of Kundiman. She currently lives in Brooklyn, NY. Paul Tran grew up in San Diego, CA. His mother escaped from Vietnam in 1989 and raised him as a single-parent in the United States. Being the first in his family to graduate high school and attend college, Paul is fascinated by the promise and transformative power of education. Since 2005, Paul has facilitated workshops and trainings for youth organizers throughout the United States. He designs curriculum around race, power, and the potential of arts activism. As an organizer and mentor, Paul has earned awards from the Delta Sigma Theta Sorority, Inc. (2006), Prudential Spirit of Community (2007), Gloria Barron Prize for Young Heroes (2008), California Museum & Office of the Governor and First Lady Maria Shriver (2009), Parents, Families & Friends of Lesbians & Gays (2010), and funding from Qualcomm, Fish & Richardson, United Way San Diego, and the University of California, San Diego. Ocean Vuong is the author of two chapbooks: No (YesYes Books, 2013) and Burnings (Sibling Rivalry Press, 2010), which was an American Library Association’s Over The Rainbow selection. A recipient of a 2013 Pushcart Prize, he has received fellowships from Kundiman, Poets House, The Elizabeth George Foundation, the Saltonstall Foundation For the Arts, as well as the 2012 Stanley Kunitz Prize for Younger Poets and an Academy of American Poets Prize. Poems appear in Poetry, The Nation, American Poetry Review, Quarterly West, Guernica, The Normal School, Beloit Poetry Journal, and Denver Quarterly, amongst others. Work has also been translated into Hindi, Korean, Vietnamese, and Russian. Born in Saigon, Vietnam, he currently resides in New York City where he reads chapbook submissions as the managing editor of Thrush Press. He thinks you’re perfect. Cathy Linh Che is the author of Split (Alice James, 2014), the winner of the 2012 Kundiman Poetry Prize. She received her MFA from New York University and is the recipient of fellowships from The Fine Arts Work Center at Provincetown, Hedgebrook, and Poets House. Paul Tran is a rising senior at Brown University and a graduate of The Preuss School at the University of California, San Diego. He is a first-generation college student and aspires to pursue a Ph.D. in American Studies. Currently concentrating in History, Africana & Ethnic Studies, Paul’s work as a twentieth-century U.S. social & cultural historian-in-training, activist and spoken word poet attempts to illuminate the complex relationships between race, empire and the production of knowledge. With the past as his battleground, Paul is determined to excavate new understandings of human existence. His scholarship, poetry and leadership seeks to create communities compelled towards love and social justice. Inspired by the notion of America as “a land without ghosts,” Paul specifically aims to exhume this nation’s dead, to find what moves in the margins, and respectfully articulate their stories in the hopes of making meanings for our lives. At 22 years old, George “G” Yamazawa is widely considered one of the top young spoken word artists in the country. A Kundiman fellow, National Poetry Slam Finalist, two-time Individual World Poetry Slam Finalist, and three-time Southern Fried Champion, G has performed at numerous venues and universities across the nation including the Sundance Film Festival, Bonnaroo Music Festival, as well as overseas in England, Germany, and the Netherlands.